For questions/design request e-mail: DESIGN@WILDPRAIZE.NET or Visit WWW.WILDPRAIZE.NET. All orders under require full payment @ time of order! Deals do not include print! Q. There are seem to be a lot of faith based work on the site. Do you only design for the faith based community? A. No, we are here to service EVERYONE. We want to help you impact your community, city and the world. A. WMM uses all Adobe professional products such as Photoshop. A. Turnaround time is based the on the project. Projects can be turned around as fast as 48 hours. Q. What is an e-blast? A. An Email Blast is electronic mailing, sent all at once to a large emailing list. It’s like an electronic version of direct mail marketing (your flyer designed by us or you). An e-blast contains pre-formatted messages built-in to the body of a e-mail. Eblast frees you and your clients from attachments. Eblast can be sent to 1,000’s of people at once. WMM has a listing of over 16,000 people. All eblast are pushed on social media sites like Facebook, Twitter, etc. A. A flyer or flier, also called a circular, handbill or leaflet, is a form of paper advertisement intended for wide distribution and typically posted or distributed in a public place or through the mail. Flyers may be used by individuals, businesses, or organizations to: Promote a good or service, such as a restaurant, event or nightclub. They come in all sizes as small as a 3×5 to 8×11. Q. How much do you charge for revisions? A. You are allowed unlimited revisions up to 4 rounds. Additional revisions are $25 and up per round pending the type of project. Q. What is a revision round? Wildpraize Music & Media presents a proof; you make revisions; and we make the required changes. That completes round one. The process of refining continues until both parties reach round four. Additional rounds are billed at $25/hour. Q. Is a deposit required to start my project? Q. Can you start work without a deposit? A. Sorry, we will politely decline. The initial deposit puts your project in production and helps fund up-front costs that may be required to start. We are answers questions daily! Let us know what you need to know! Please e-mails us at: design@wildpraize.net if you have questions! Because we want to gt to the Heart of the matter…getting the little things right is a big thing. Service Guarantee We believe customer service is the rule not the exception. We’re not in it for the quick win but winning over the long haul. 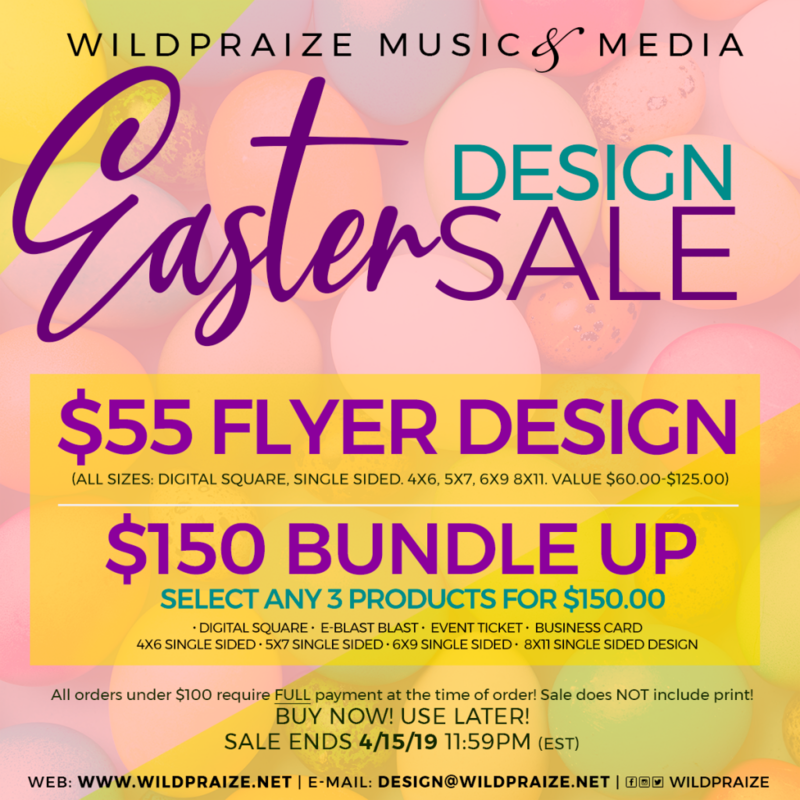 Wildpraize Music & Media a does not outsource its calls or generate automated email responses. And we haven’t forgotten what Mama taught us: to treat others like we want to be treated. So give us a call; the first consultation is always free.